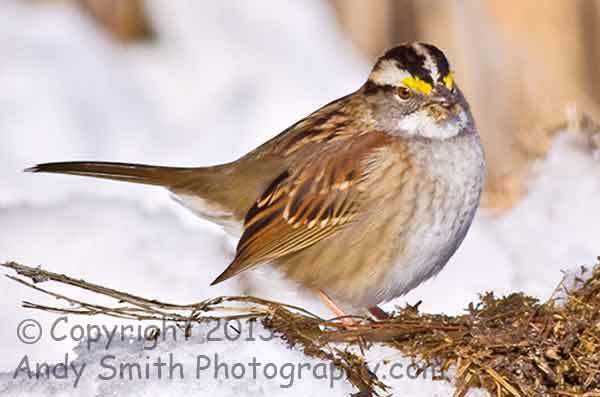 This White-throated Sparrow, Zonotrichia leucophyrs, is a common winter bird across the southern half of the USA and Mexico. This one was feeding in the brush along the edge of a snow-covered road at Husted Landing in New Jersey. This sparrow breeds across Northern and Western Canada and Alaska and in the higher mountainous areas of the Western USA.